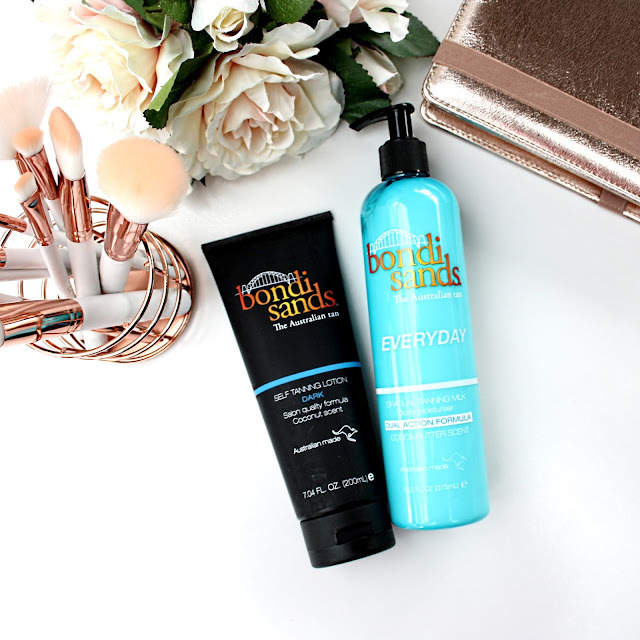 As a gal relatively new to the world of fake tanning, I haven't delved into many brands yet. However, I was recently sent a couple of Bondi Sands tanning products, and have been loving and using them the past month. Bondi Sands is an Australian made and owned company based in Bondi Beach (one of my favourite places to visit!) 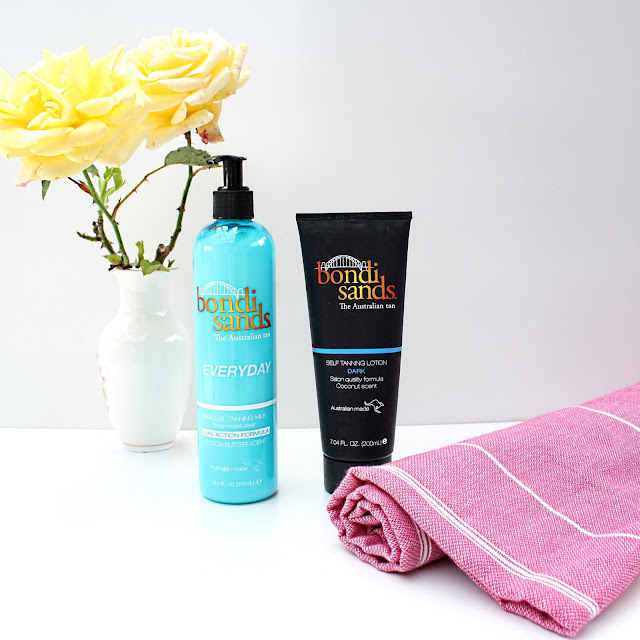 Bondi Sands is inspired by Australia’s most well known beach, and a desire to make the ultimate tan accessible to everyone. Their salon quality formulas work to give you an even, naturally golden tan that hydrates and nourishes your skin meaning you stay bronzed for longer. I was sent their tanning lotion in dark and their gradual tanning milk to test out and provide a review. I was worried that this tan, being the dark shade, would be too much for my pale skin. However, when left on for around 4 hours before rinsing off, this leaves me with a gorgeous golden, even tan that wears without patchiness. This has no orange tones to it either; I love it! This tan lasts up to seven days on my skin, at which point I will deeply exfoliate my skin and shave before applying this tan again. It is hydrating on my dry skin, something that I find rare in tanning products as they tend to dry out my skin. Onto my favourite product I tested, and a holy grail discovery for 2016! This product is moisturising and perfect for tanning newbies as it gives a beautiful golden tan that isn't too intense but enough to give you a healthy sun-kissed look. It is a very forgiving formula and I find I don't even need to exfoliate or apply moisturiser to dry areas beforehand to prevent patchiness and streaking. This is the best gradual tanning formula I have tried, as most have orange undertones. This doesn't! This is also great at extending a spray tan, or a weekly tan. 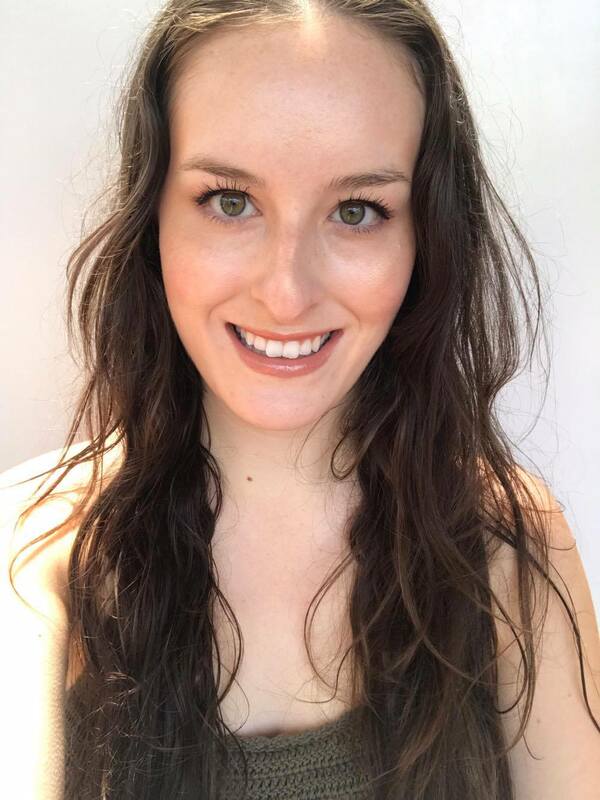 I find that it takes a day or two to start giving noticeable effects on the skin, and I am fine to use on my skin everyday (save a day here or there when I find the tan is looking too intense, and take a short break). I really want to try out the spf 15 version of this as I think that would be great for summer! Overall I am obsessed with the products I have tested from Bondi Sands, and have already bought backups as I can't live without them now! 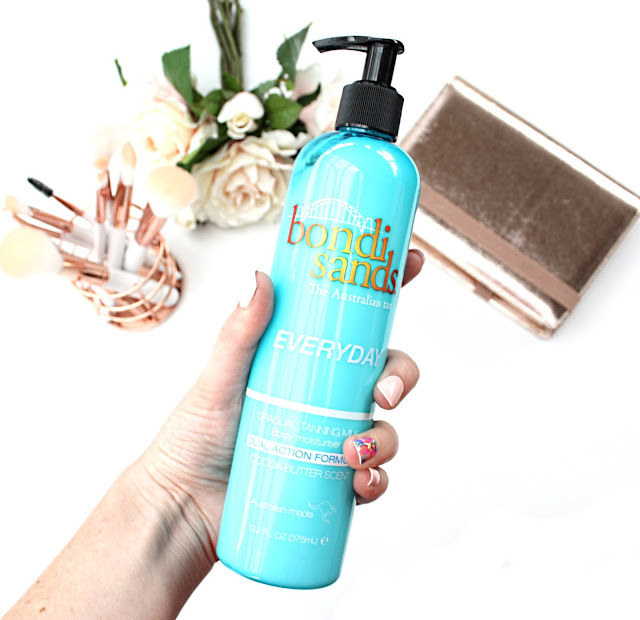 Grab Bondi Sands from RY.com.au; the cheapest stockist I have found!